A $200 off-the-shelf brain control interface is being used to power an Australian-developed telepresence robot that allows people with limited upper limb mobility to attend work or school remotely. Created by Melbourne-based company Aubot, the brain-controlled telepresence robot dubbed ‘Teleport’ uses the MindWave mind control interface to track the focus of a user’s brain. Once a person concentrates over a certain threshold, the robot moves. Users blink their eyes twice to move the 1.1m to 1.7m tall robot forwards, backwards, left and right. The robot can be controlled using a touchscreen tablet or Android smartphone connected to the internet. A wide angle lens provides a large field of view and sensors at the front and back prevent collisions. The A$3800 (inc.GST) robot is being pitched to offices for telecommuting, companies with multiple offices for internal employee interactions, museums, and to healthcare providers to interact with sick children. 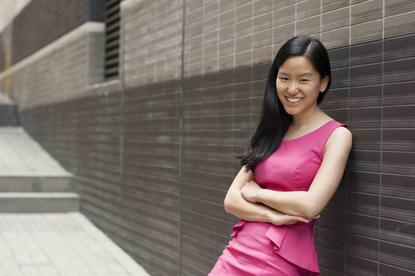 Teleport saves on transportation time and costs, and gives users choice in where they look, who they talk to and where they explore remotely when they can’t be there in person, said Aubot founder and 2012 Young Australian of the Year, Marita Cheng. “Our users say that the experience is 100 per cent better and more immersive than they expected,” Cheng said. Recently, Aubot received $50,000 from Optus as part of the telco’s Optus Future Makers program to supply teleports to national cancer support organisation, Canteen. The robots enable kids hospitalised with cancer to attend school.